I came across this link on one of my friend’s Facebook posts today. I thought it’s kind of cool! 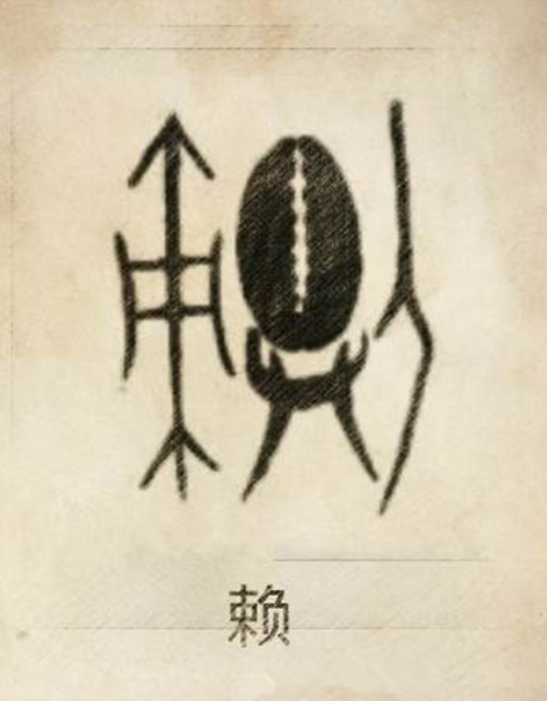 It shows most, if not all, the original Chinese symbols of our Chinese surnames. It even has an explanation on the origins. I have always been fascinated by this although my Chinese isn’t anywhere near the A1 level (to the despair of my Mom who used to be a Chinese teacher…). This is my surname 赖. Apparently my clan was made up of super farmers! I think the genes has been greatly diluted over the millenniums. My fingers are far from being green. I’ll just stick to admiring flowers and eating vegetables. Tiger Mom! Cat Mom! Kitten Mom!